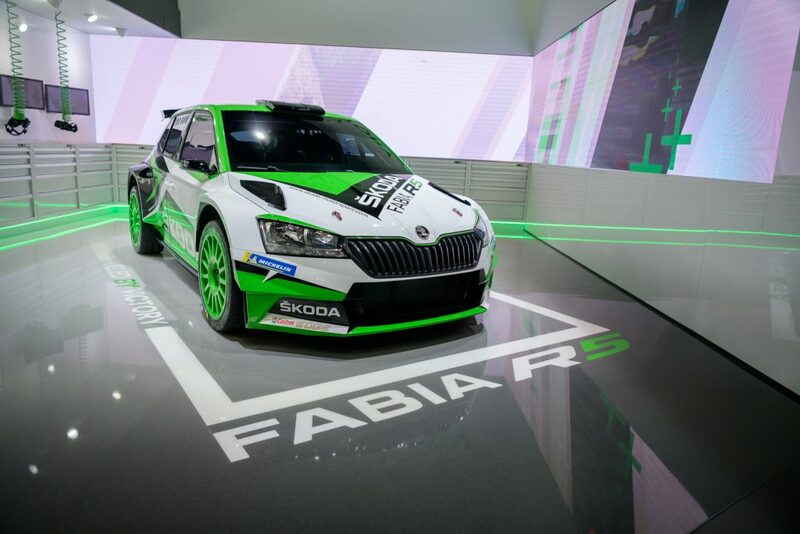 On all surfaces and in all conditions, the latest rally car from ŠKODA Motorsport, the FABIA R5, has enjoyed unprecedented success in three seasons. Whether placed in the hands of the ŠKODA works team, or one of the many customer teams clamouring for the chance to put one through its paces, it has enjoyed success all over the world. And in 2019, it is looking to rip up the record book once more. The development of the ŠKODA FABIA R5s power unit has evolved since the ŠKODA Motorsport team decided to enter the R5 category. 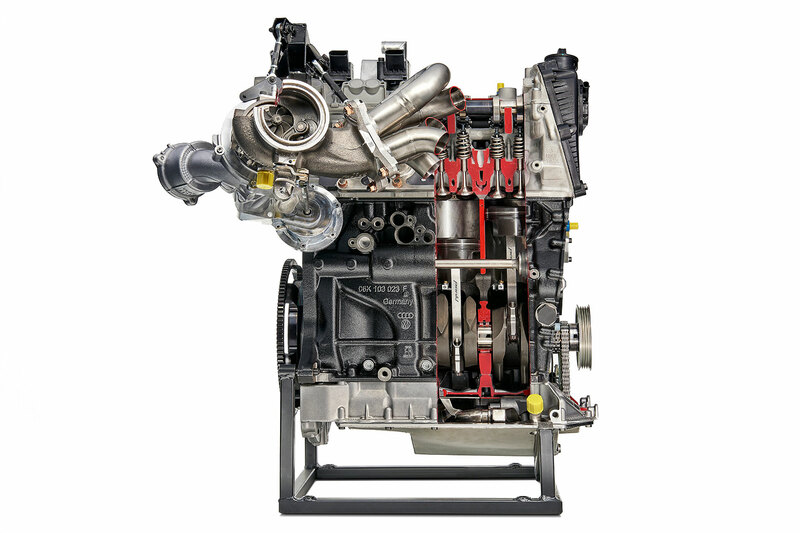 The rules at the time did not allow the use of anything other than a mass-produced 1.6-liter turbocharged engine, which is still not part of the Volkswagen combine's portfolio of power units. First of all, we tried to change these rules. But fortunately, under the new rules, it was permitted for the engine capacity to change. Subsequently, ŠKODA Motorsport’sengine experts compared the advantages and disadvantages of the various VW engines for their usability in the R5 category. They chose the 1.8-liter, 123 kW EA 888 engine, produced in Shanghai, China. At that point, work on defining basic thermodynamic quantities could begin (stroke, drilling, size and shape of intake and exhaust channels, timing...). 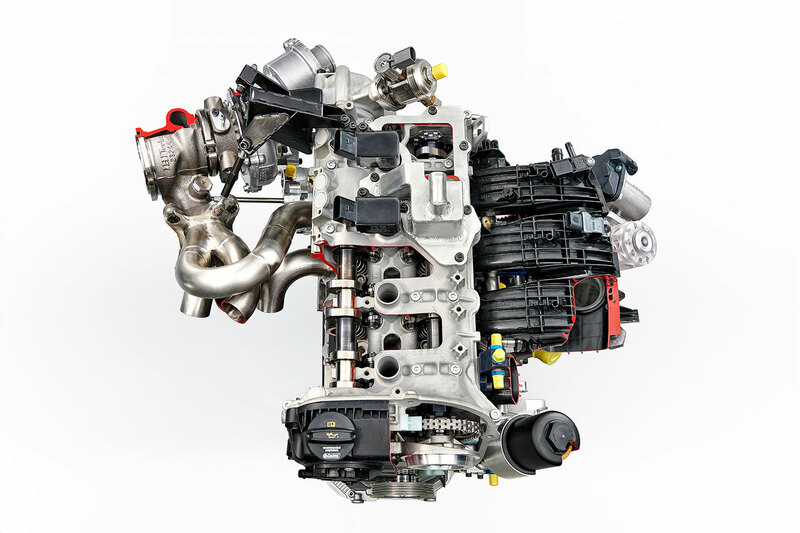 The first prototypes were built and a number of optimisations were done to ensure maximum performance, reliability and the pricing for both manufacturer and customer rally teams to use the engine in rallies. Engine homologation was made on April 1, 2015, along with homologation of the entire car. The mass-produced engine, from which the racing engine of the ŠKODA FABIA R5 is derived, was originally introduced in the Volkswagen Lamando and ŠKODA Superb cars for the Chinese market. 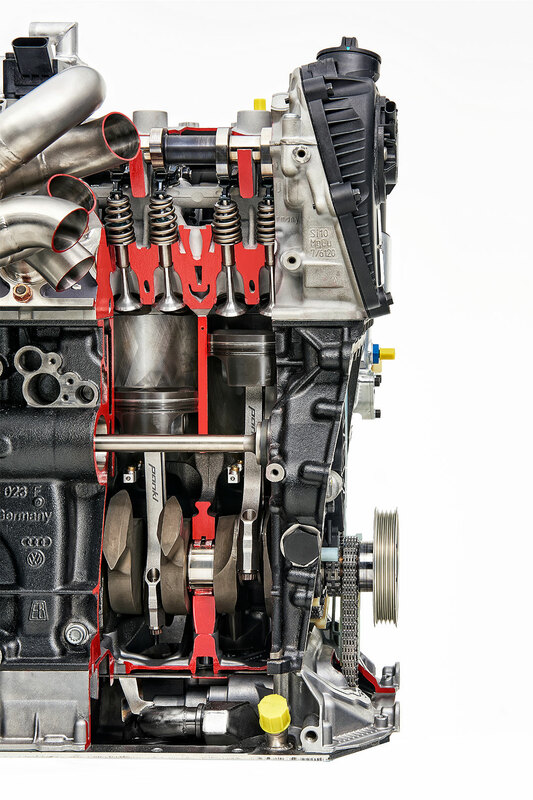 Such an engine in rallying must be reliably controlled and therefore a special engine control system has been developed to provide, in addition to performance parameters, reliability in case of the failure of some electrical components. The engine must, of course, comply with all FIA regulations for the R5 category and also with the special rules given by national associations in the countries where the ŠKODA FABIA R5 competes. The power of the engine is limited by FIA rules, which means there is a prescribed maximum operating pressure in suction pressure of 1.5 bars or a 32 mm diameter restrictor. 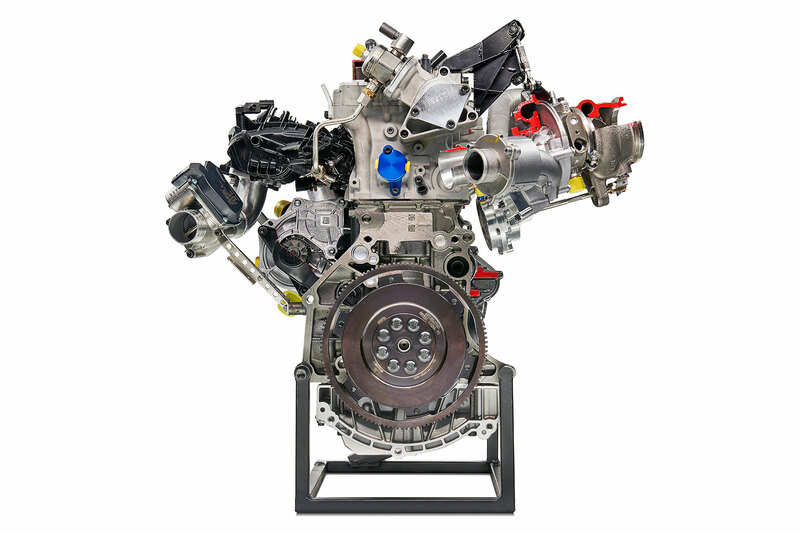 For a considerable number of parts used in the engine, there are price limits or a requirement that parts must come from a mass-produced car. Warranty inspection even with a rally car! 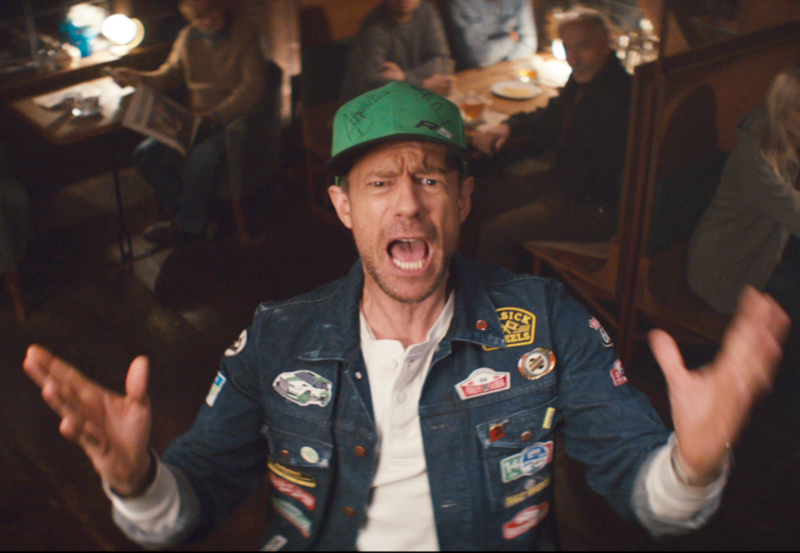 There are planned revisions of the engine after every 3,000 km of rallying. The ŠKODA FABIA R5 has four-wheel drive. The 4x4 drive is designed with 2 axle differentials. The front one is located in the same place as the gearbox. The rear transmission is connected to the gearbox by a Cardan shaft. The car does not have an inter-axle differential. However, for the correct operation of the handbrake, a disconnecting clutch is needed, which disconnects the front and rear axles when pulling the handbrake. The Differentials are mechanical and self-locking with no electronics. The ŠKODA FABIA R5 has a 5-speed, sequential, manual gearbox. The maximum speed is derived from gear selections with the overall maximum speed being around 200 km / h. A rally driver is able to change gear in tens of milliseconds. Both axles have a McPherson suspension designed for extreme conditions that cannot occur in regular traffic. On jumps, the force on every wheel equals to multiple of the weight of the car. Although it is important to be fastest at a rally, at certain times you need be able to slow down too. Even breaking has its own specifics and therefore the brake discs have different diameters for different surfaces. Tarmac: Front 355 mm + Rear 300 mm; Gravel: Front and rear 300 mm. The difference is down to the ability of the tyre on a given surface to transmit forces between the vehicle and the road surface. 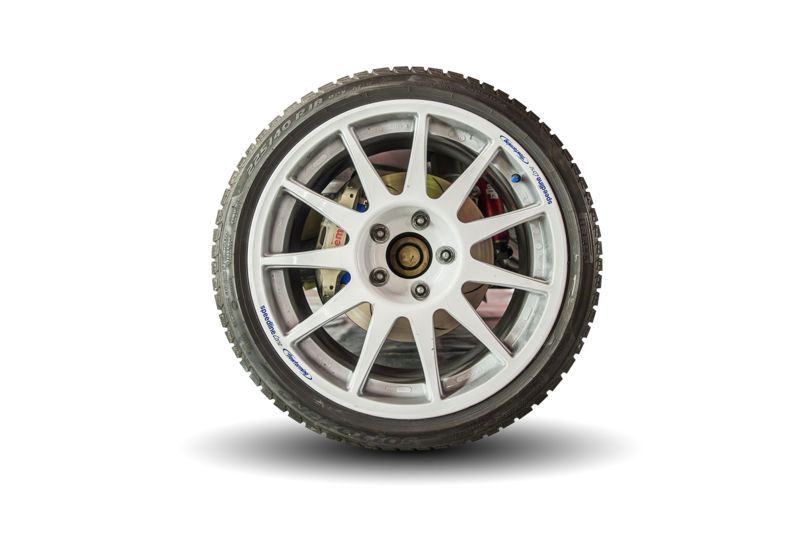 As this ability is greater on asphalt, larger brake discs can be used for tarmac surfaces. 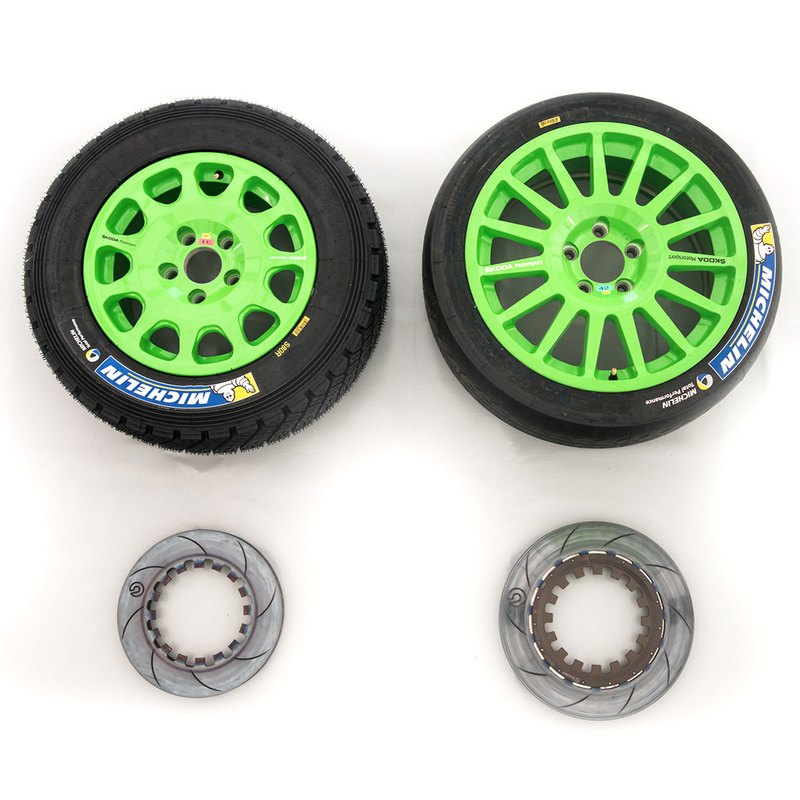 In the rules, the use of larger asphalt wheels is also allowed with the prescribed 18 "disc while a 15" disc is prescribed for the gravel. Different surfaces do not only mean a change in the use of brake discs. In view of the greater roughness of the gravel, the clearance height of the car for this surface is several tens of millimetres higher. The ŠKODA FABIA R5 does not have any auxiliary electronics for driving. Of all possible sensors, the car only has the sensors required for engine control and sensors for brake pressure, steering wheel position or fuel level – but these are not related to the engine control and are to provide information only. As the name of the engine sensors suggests - their signal is used by the engine control unit to properly control the engine during its operation in all driving modes and under different atmospheric conditions. 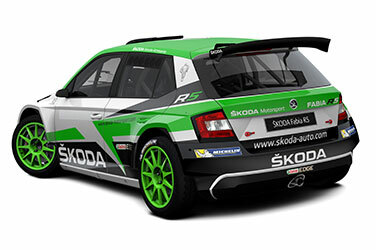 The ŠKODA FABIA R5 needs special racing fuel developed directly for rally cars under FIA compliance conditions. Some rallies require explicitly prescribed fuels and others do not. For this reason, we offer guides to almost twenty different fuels so our customers can choose the optimal fuel for their races. To store fuel, the car has a special fuel tank according to the FIA regulations. It is made of Kevlar fabric and puncture resistant rubber. The tank is filled with a special foam to prevent spilling of gasoline. From the bottom, the tank is protected by a glass-kevlar fibre cover and an absorbent layer. The cover has a minimum thickness of 10 mm according to FIA regulations. The FABIA R5's tank is filled thanks to a pair of quick couplings located directly on the top of the tank. 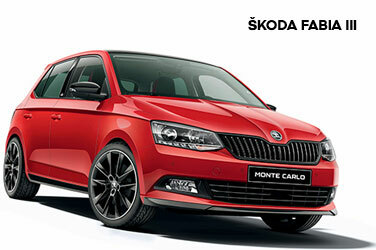 ŠKODA uses two types of wheel disks for the FABIA R5: one is made of aluminium alloy and one is made of magnesium alloy. Tyres are supplied by the French company Michelin. 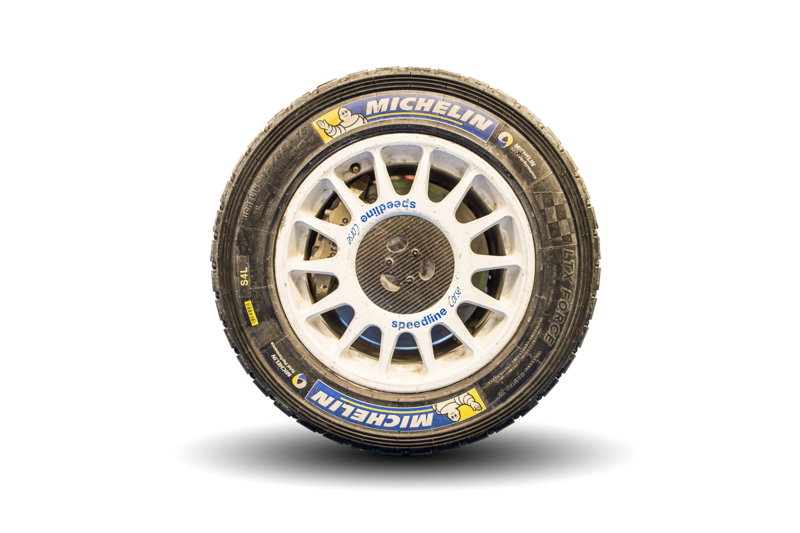 For tarmac WRC events, competitors are currently allowed to use three tyre compounds, differing in their hardness and suitability for different types of asphalt or atmospheric conditions (including rain). For gravel WRC events, competitors are allowed just two compounds (soft and hard). 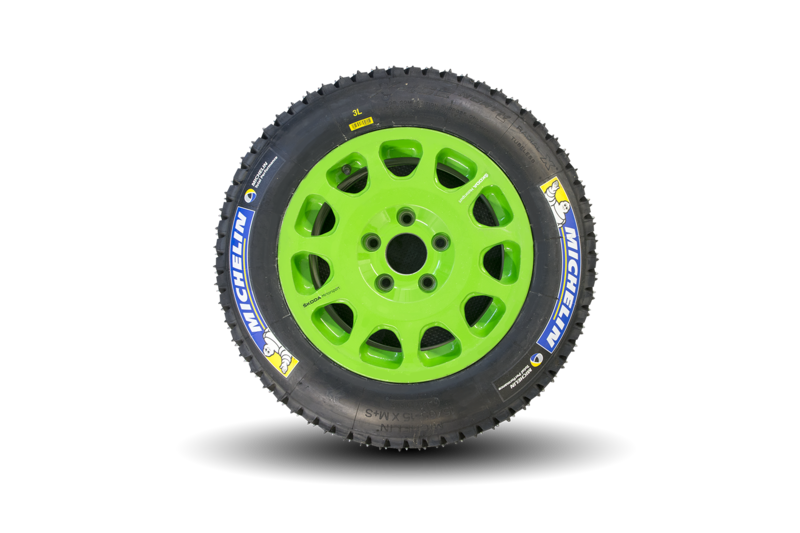 Extreme and challenging rally conditions can be very hard on tyres, but nevertheless, the number of tyres teams can use during a rally is limited and is set by the rally organiser according to the length of the event – usually, it is around 28 pairs for the whole rally. The FABIA R5 was a successor to the FABIA S2000, which won almost 50 national and international titles. The FABIA R5 picked up where the FABIA S2000 left off. 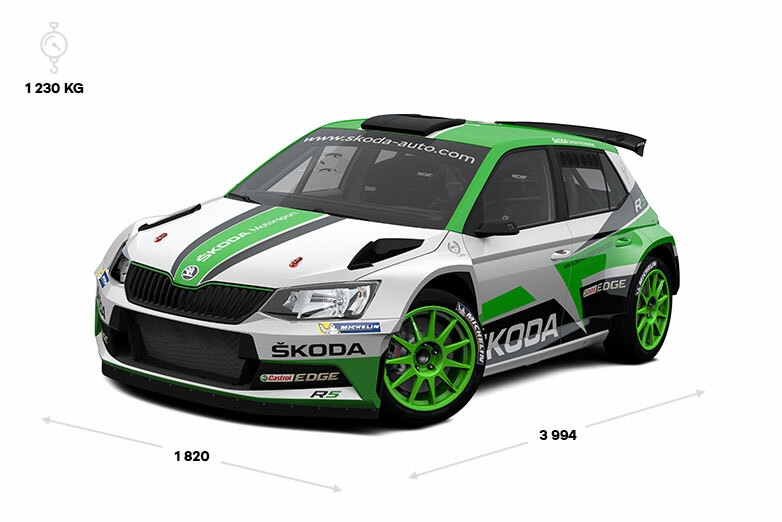 On its debut in the 2015 season the FABIA R5 was already claiming titles. The experienced Raimund Baumschlager won the Austrian Rally Championship, while Norbert Herczig did the same in Hungary and Freddy Loix in Belgium. Gustavo Saba claimed the championship in Paraguay too, whilst Jan Kopecký steered the FABIA R5 to success in ŠKODA’s home series, the Czech Rally Championship. 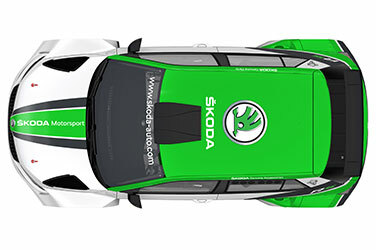 The following year was even more successful, with ŠKODA works driver Esapekka Lappi steering a FABIA R5 to victory in the WRC2 category of the FIA World Rally Championship (WRC). There were titles in three prestigious regional rally championships too: Gaurav Gill in the FIA Asia-Pacific Rally Championship (APRC), Gustavo Saba in the FIA CODASUR Rally Championship in South America and Nasser Al-Attiyah in the FIA Middle-East Rally Championship (MERC). Meanwhile, Norbert Herczig, Freddy Loix, Gustavo Saba and Jan Kopecký repeated their title successes of the previous season in Hungary, Belgium, Paraguay and the Czech Republic respectively. And there were a six more national rally championship titles for FABIA R5 drivers too: Esben Hegelund in Denmark, Sylvain Michel in France, Fabian Kreim in Germany, Kalle Rovanperä in Latvia, Pavel Valoušek in Slovakia and Desi Henry in the Irish Forest Rally Championship. 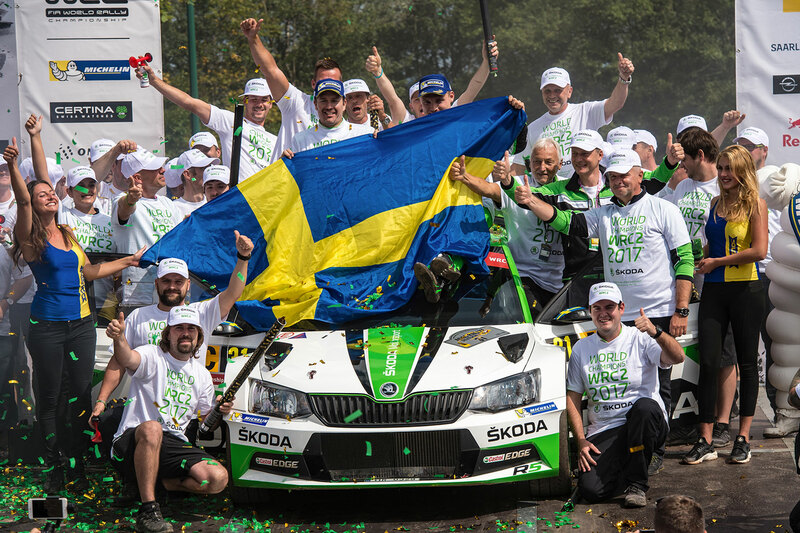 2017 season saw the FABIA R5 secure back-to-back world titles, with Pontus Tidemand the successful driver this time, again for the ŠKODA Motorsport team. 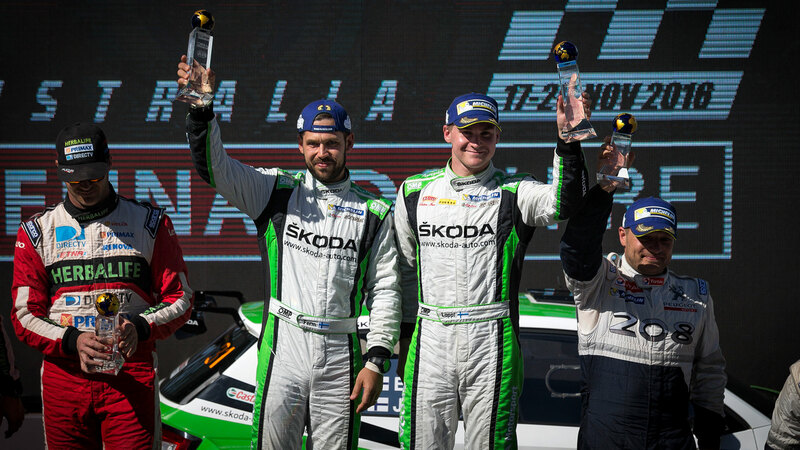 Both Gaurav Gill and Gustavo Saba retained their regional titles in Asia-Pacific and South America respectively, while Manvir Baryan became the first ever ŠKODA winner of the FIA African Rally Championship and Marijan Griebel was crowned the winner of the inaugural FIA ERC Junior Under 28 Championship. There was more national championship success too, with third successive titles for Jan Kopecký in the Czech Republic, Gustavo Saba in Paraguay, Norbert Herczig in Hungary, and a second successive win for Fabian Kreim in Germany. Several FABIA R5 drivers won their first career titles too, including Vincent Verschueren in Belgium, Teemu Asunmaa in Finland, Filip Nivette in Poland, Burak Çukurova in Turkey, Hermen Kobus in the Netherlands, and Simos Galatariotis in Cyprus. In addition, Socratis Tsolakidis won the national title in Greece as did Roger Feghali in Lebanon. And Krisztián Hideg drove a FABIA R5 for the crucial final rally of his successful Croatian Rally Championship campaign. More successes for FABIA R5 drivers in 2017 included Yağiz Avci, who won the FIA European Rally Trophy Final at the Rallye Casinos do Algarve in Portugal, Mathieu Arzeno, who enjoyed victory in the finale of the French Cup in Marseille, and Luca Rossetti, who won International Rally Cup in Italy.